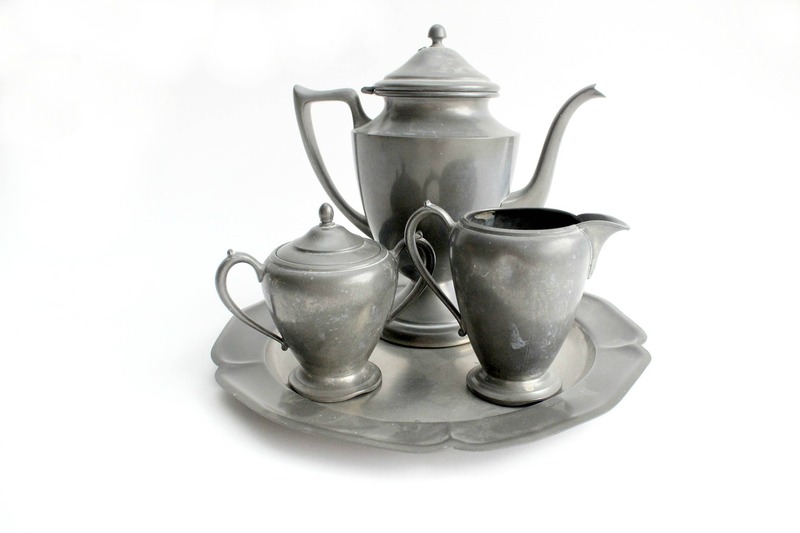 Authentic pewter tea set. 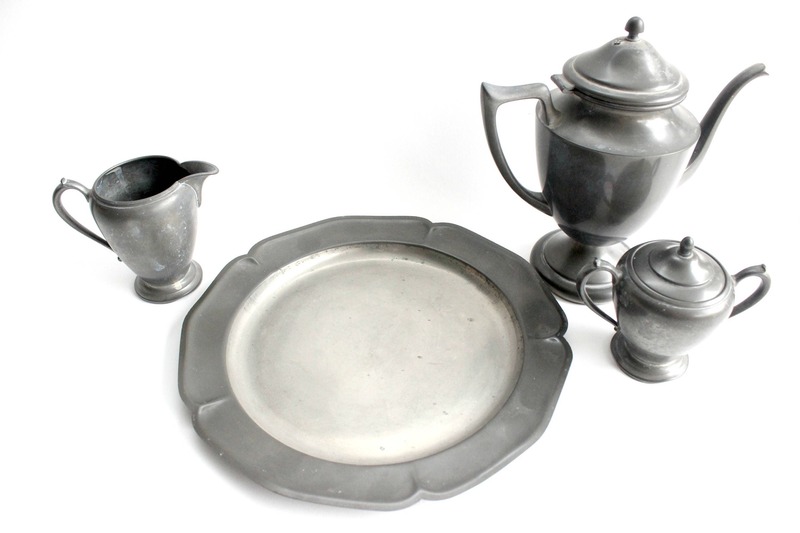 4 piece set includes one platter, one teapot/coffee pot, one creamer and one sugar container. 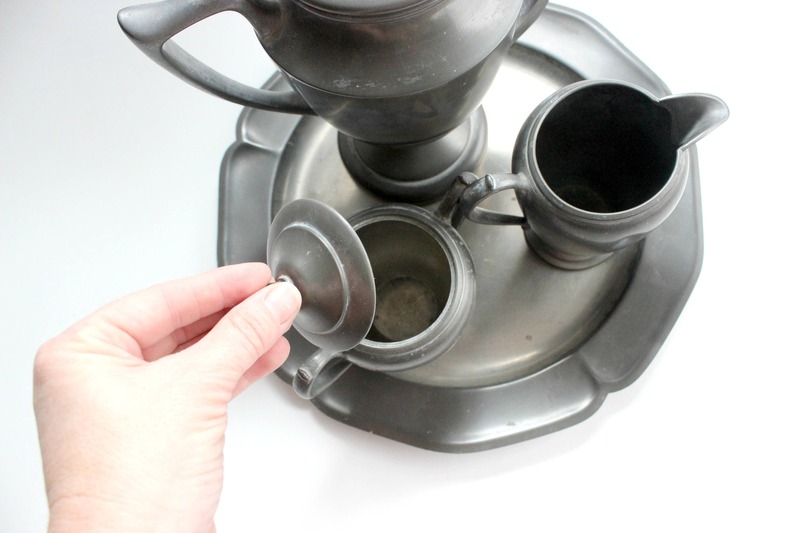 Each piece is stamped and numbered, "Crescent Pewter." 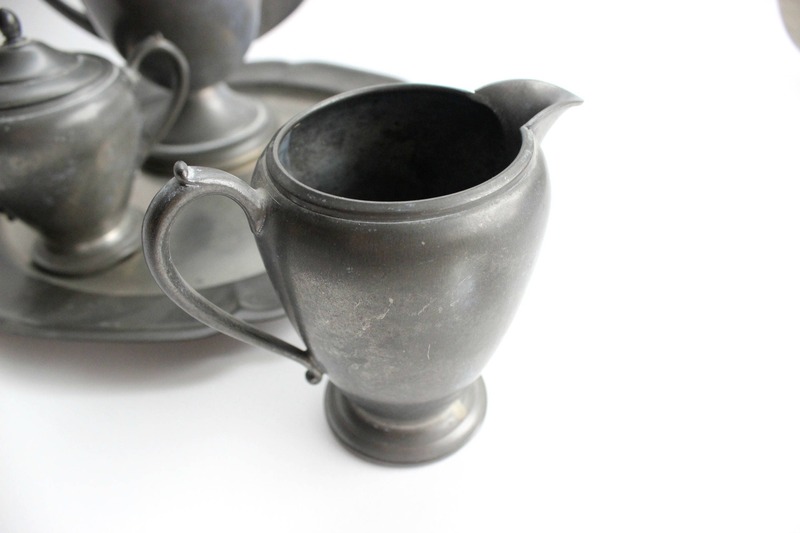 Beautiful vintage patina. Rustic style with a hint of fancy! Vintage/used condition. Very rustic and worn. Heavy vintage patina. Dents and scratches can be seen. Cleaning and polishing may be desired. 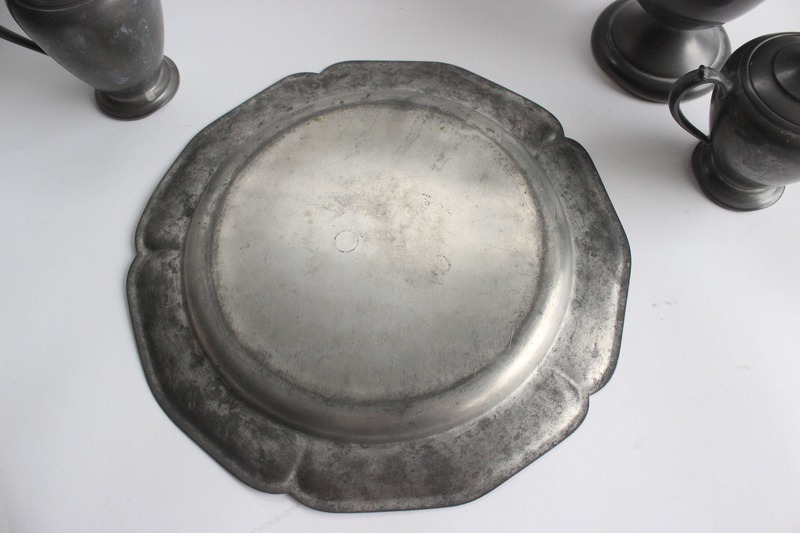 Platter measures 11.75 inches across. 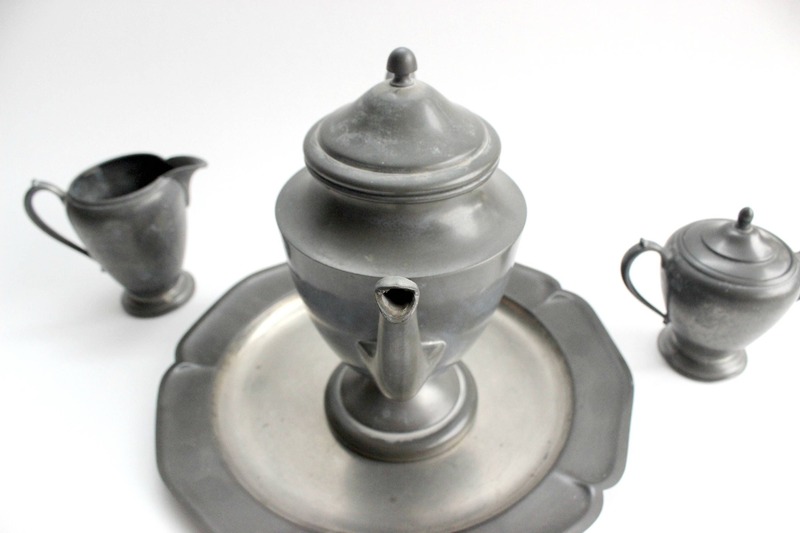 Teapot measures 9 inches tall, creamer measures 4.5 inches tall and sugar container measures 5 inches tall. All three items fit together on the plate. Please inquire if additional measurements are needed.